Today I am partnering with Irish Banana Blog Tours to help promote THE RIFT UPRISING by Amy S. Foster! THE RIFT UPRISING was just released on Tuesday (October 4th 2016), and I thought it would be the perfect book to share with all of you. I've included some information on the book below, along with some information on Amy S. Foster! 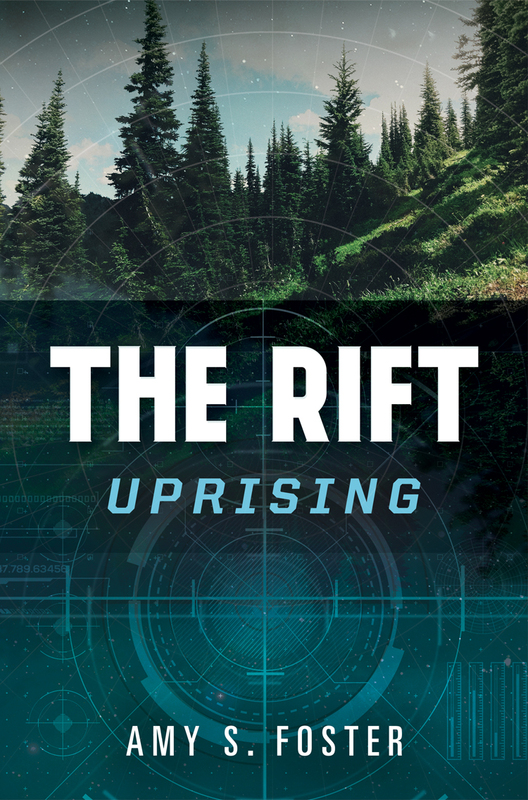 Order THE RIFT UPRISING Here! Learn More About Amy S. Foster Here! Learn more about the book on Goodreads here! Normal seventeen-year-old girls go to high school, binge watch TV shows all weekend, and flirt with everyone on the face of the Earth. But Ryn Whitaker is trying to save it. Ryn is a Citadel. A soldier. A liar. Ryn and her fellow Citadels were specially chosen and trained to guard a Rift—one of fourteen unpredictable tears in the fabric of the universe that serve as doorways to alternate Earths. Unbeknownst to her family, Ryn leaves for school each day and then reports for duty as an elite, cybernetically-altered soldier who can run faster, jump farther, and fight better than a Navy SEAL—which comes in handy when she’s not sure if axe-wielding Vikings or any number of other terrified and often dangerous beings come through the Rift. A fine-tuned weapon, Ryn is a picture-perfect Citadel. But that’s all about to change. When a young man named Ezra is pulled through the Rift, Ryn finds herself immediately drawn to him, despite her training. What starts as a physical attraction quickly grows deeper, and Ezra’s curiosity throws Ryn off balance when he starts questioning the Rifts, the mysterious organization that oversees them, and the Citadels themselves—questions that lead Ryn to wonder if the lies she’s been telling her family are just the surface of a much bigger lie told to her. As Ryn and Ezra desperately try to get to that truth, they discover that each revelation blurs the line between the villains and the heroes even more. Just from reading the synopsis, I can tell that this book will take readers on a high-stakes action adventure. I am so excited to add this book to my TBR! I'm so excited to see the world-building in this book and see how everything fits together. Amy S. Foster is a celebrated songwriter, best known as Michael Bublé’s writing partner. You might recognize her work in his four hit singles, including "Home" and "Haven't Met You Yet.” She has also collaborated with Destiny’s Child, Diana Krall, Andrea Bocelli, Josh Groban and a host of other artists. She is also the author of the novel When Autumn Leaves. When she's not in a studio in Nashville, Amy lives in the Pacific Northwest with her family. Amy is the daughter of singer B.J. Cook and the legendary music producer, David Foster. Fun fact about Amy: Her extended family tree includes Bella and Gigi Hadid, Sara and Erin Foster and Brody and Brandon Jenner, and Clay Aiken! The Rift Uprising, her YA debut, will be released on October 4, 2016. I can't wait to read THE RIFT UPRISING, and I hope you feel the same way! Let me know in the comments down below what you think of THE RIFT RISING!